I can’t believe 2019 is almost here! 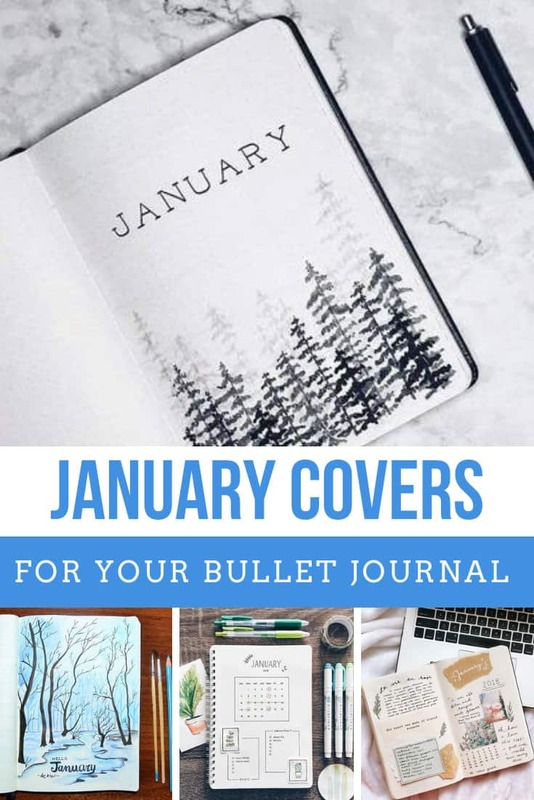 And that means it’s time to start planning your bullet journal themes and layouts for the New Year, so today I’m sharing my favourite January bullet journal cover page ideas and themes. 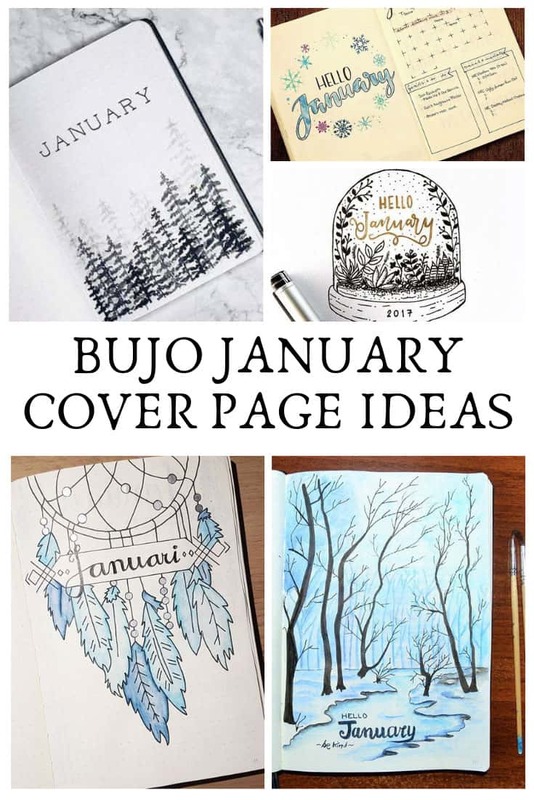 So many different title pages that are sure to inspire you! 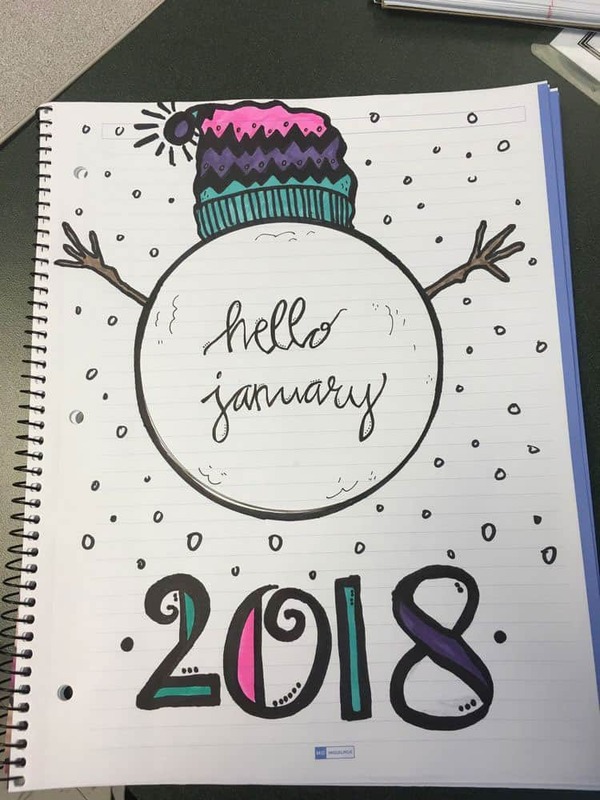 I love this cover page with the word January surrounded by fireworks! It’s the perfect way to start your New Year off with a bang! 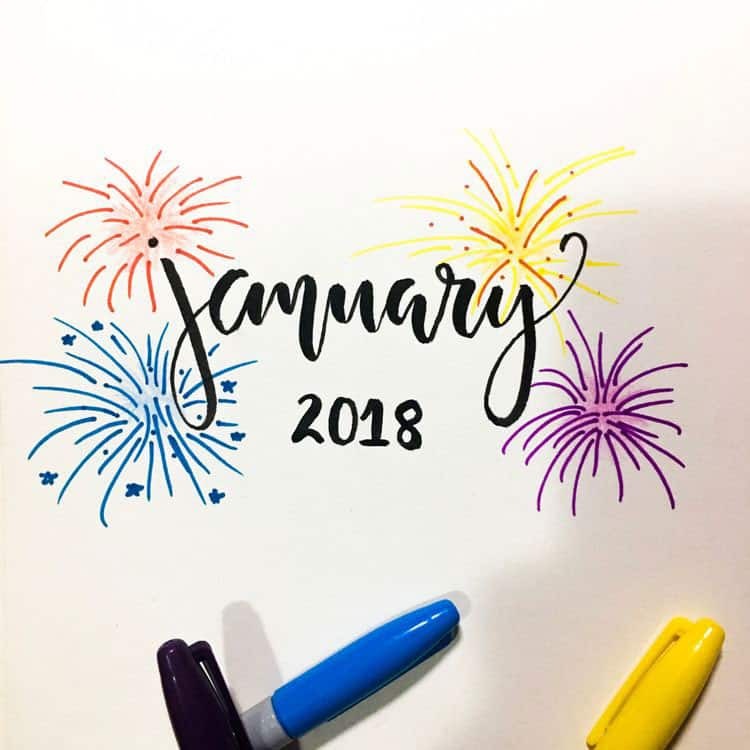 If you want to use fireworks as your January theme you’ll want to watch this plan with me video to see how to add them to your layouts! 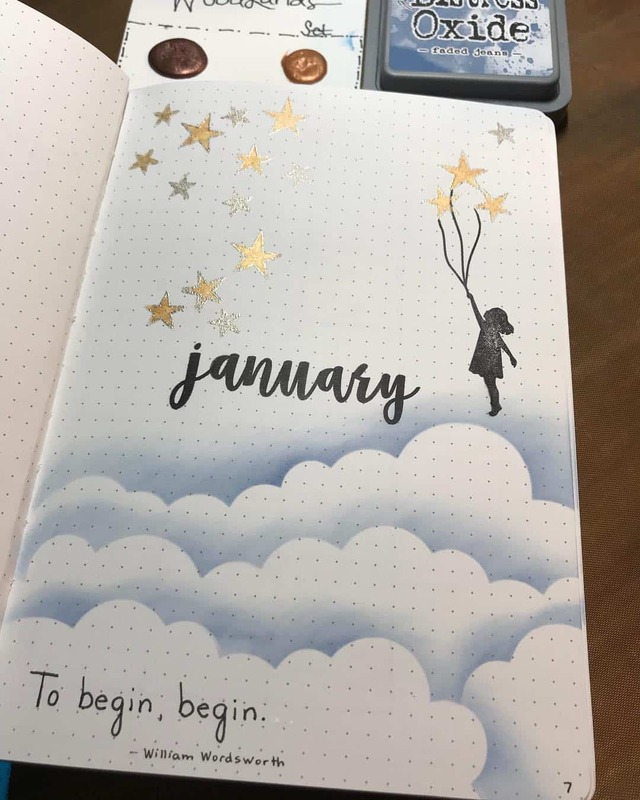 Here’s a pretty inspiring cover page with a girl floating up through the clouds on a bunch of stars. 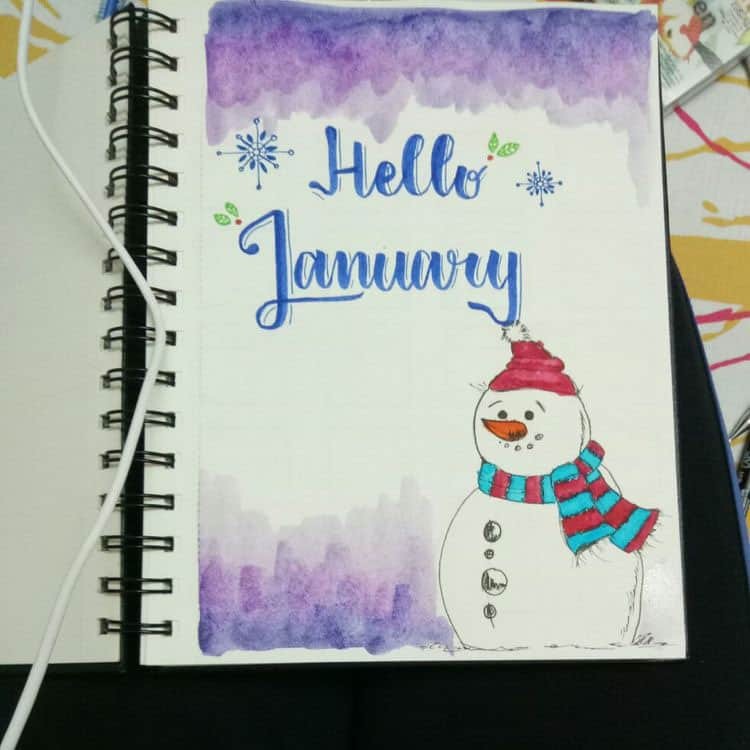 If you’re favourite thing about January is the snow you might want to try your own version of this fun snowball cover page! 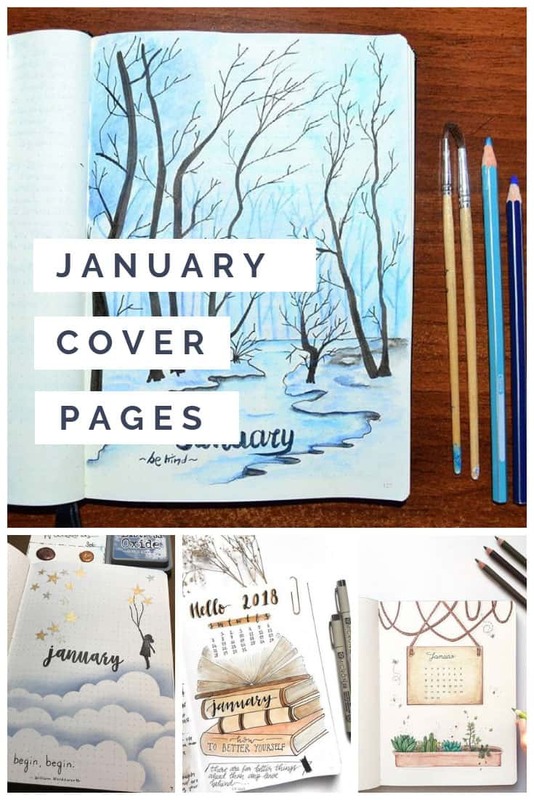 There’s something quite serene about this snowy forest scene, and if you have a stressful January ahead it’s a good idea to have a calming cover page to look at. 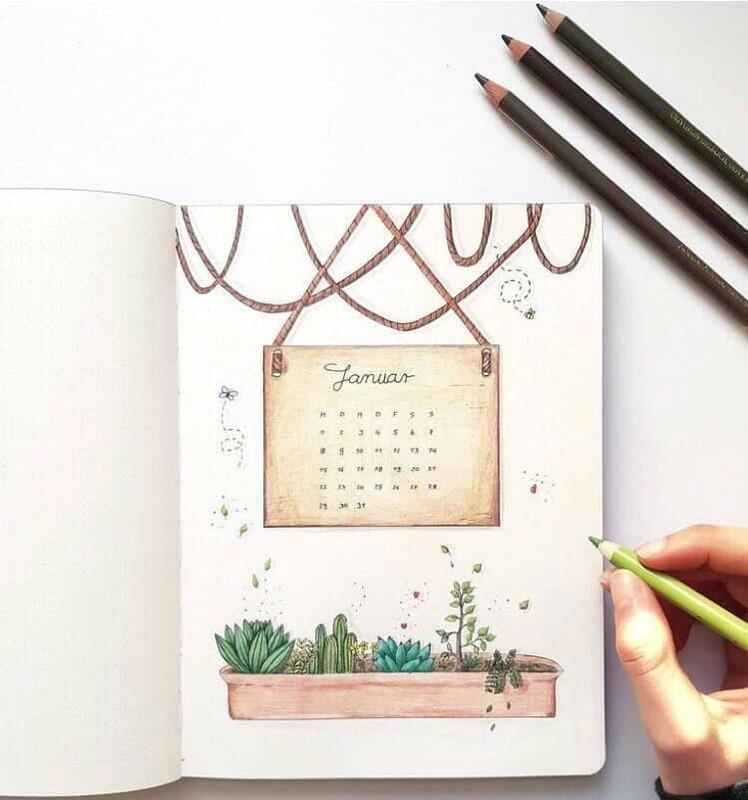 If you like to have a mini calendar for the month then try this sweet cover page with a hanging calendar and a box of succulents underneath. 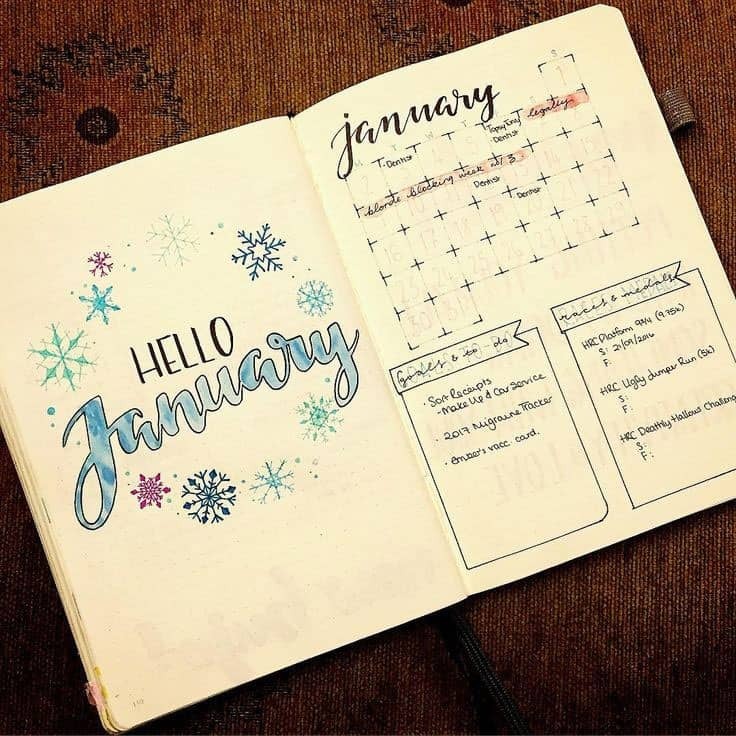 Say Hello January on your cover page with this pretty blue snowflake design. 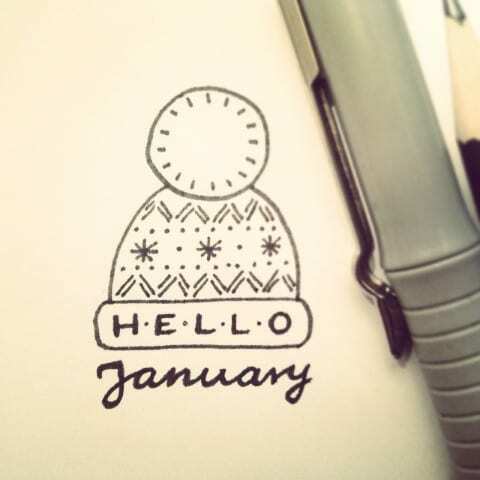 Or how about saying Hello January with a cheerful snowman! 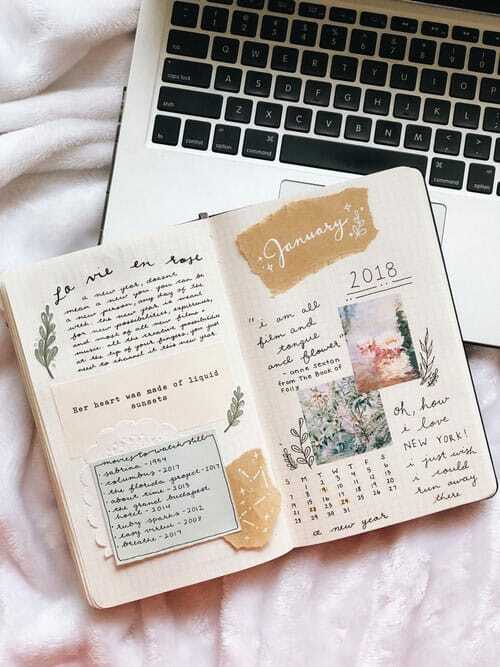 How about a scrapbook style cover page, perhaps a vision board of the things you want to achieve in 2019. 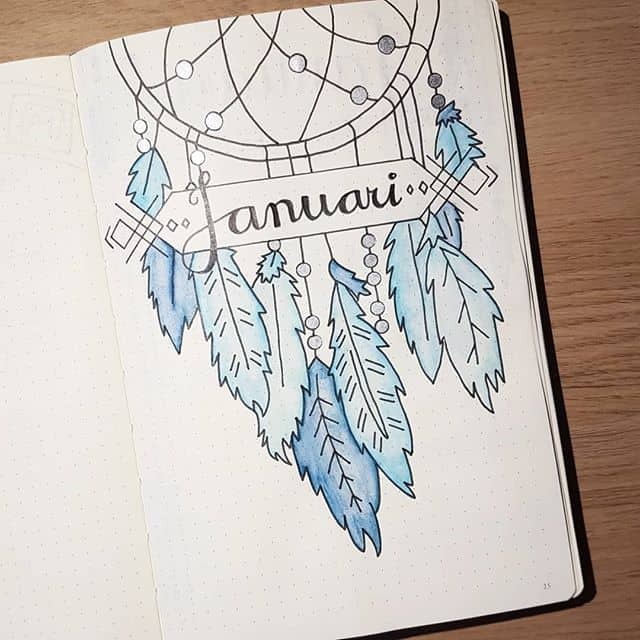 This pretty blue dreamcatcher design is a very peaceful way to start your year. Here’s a minimalist two page spread with the title page on the left and the monthly log on the right. 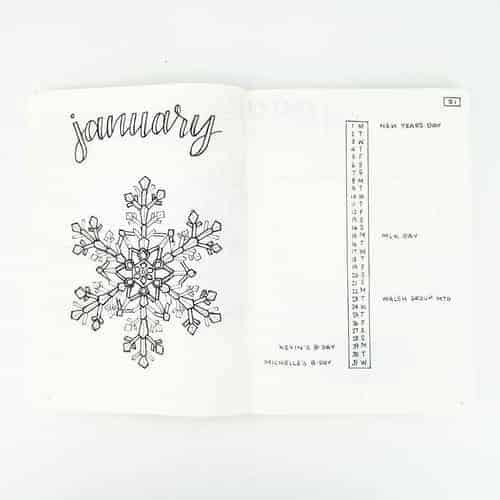 If you like to use a mood tracker in your journal you could totally use that snowflake if you added a mood key! Speaking of mood trackers we have a whole post full of inspiration if you need some new ideas. Click here to go take a look. 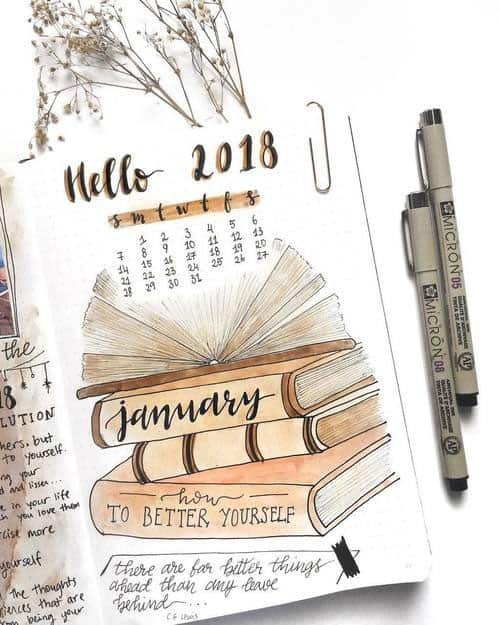 If you don’t feel confident drawing a large illustration on your cover page why not do this instead and use it for your monthly goals? 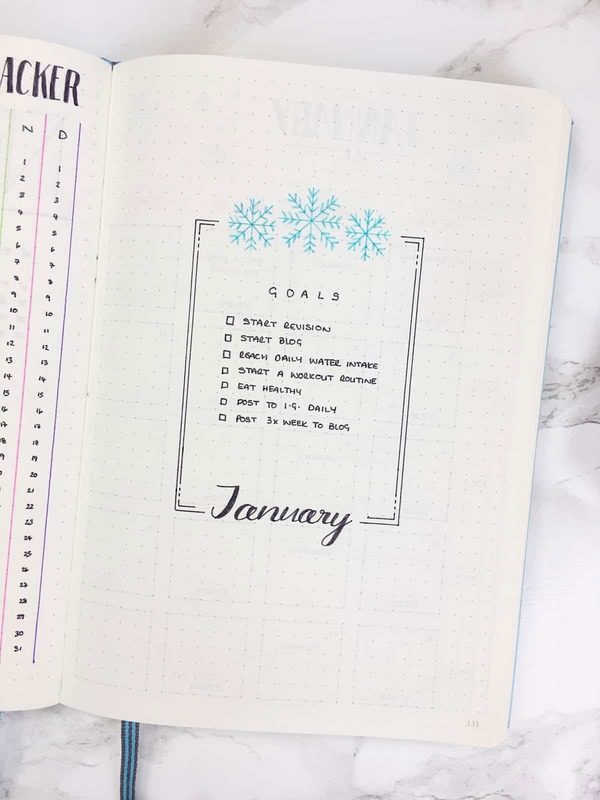 Bullet journalling is an excellent way to achieve your goals so we wrote a whole post on goal tracker hacks you should use in 2019! Here’s another example of how you can make your title page useful. 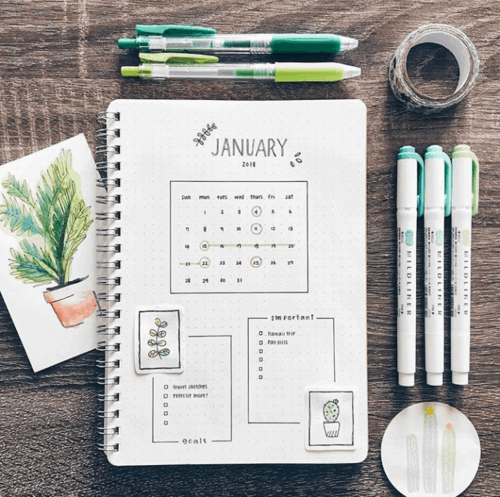 This one has the goals section, but also important tasks and a calendar grid. 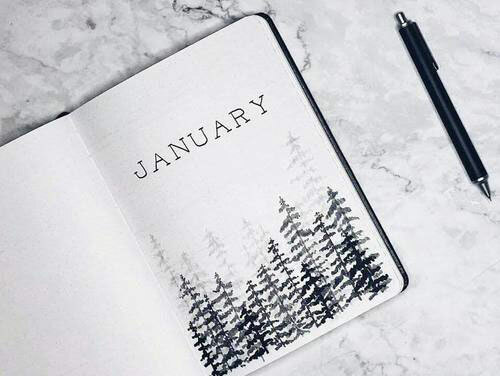 TOP TIP: We’ve found that the easiest way to draw calendar grids is to use stencil like this one. 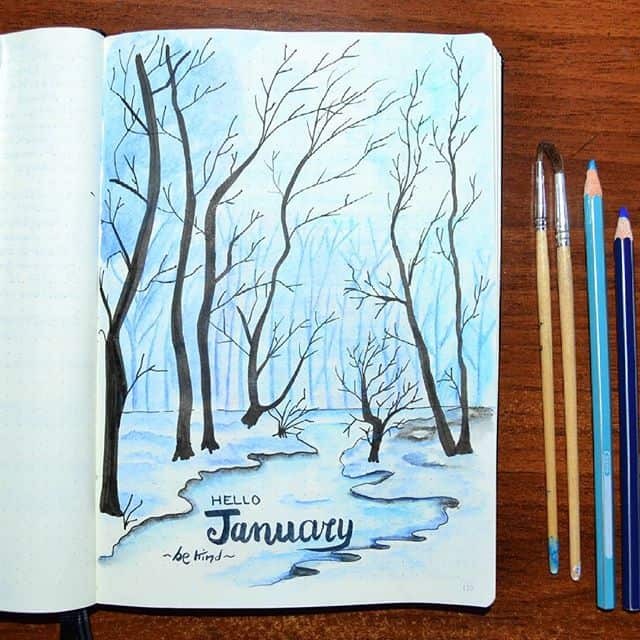 If you love to paint in you bullet journal you should try replicating a winter forest scene like this one. 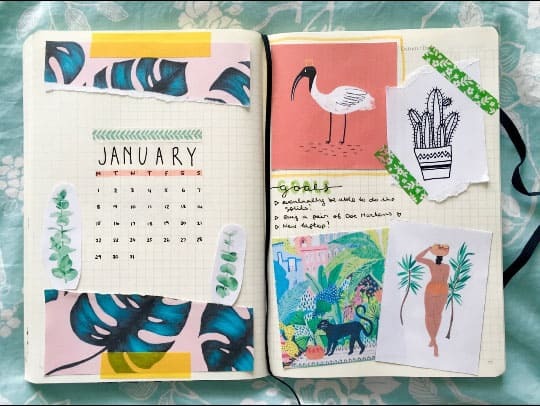 Or how about a two page spread for your January cover page using your favourite quotes and images. I really like this mixed media approach to making a title page! This illustration of the full moon is so serene, and there’s a handy calendar square underneath too. If your goal for 2019 is to read more books how about a stack of books illustration like this one? 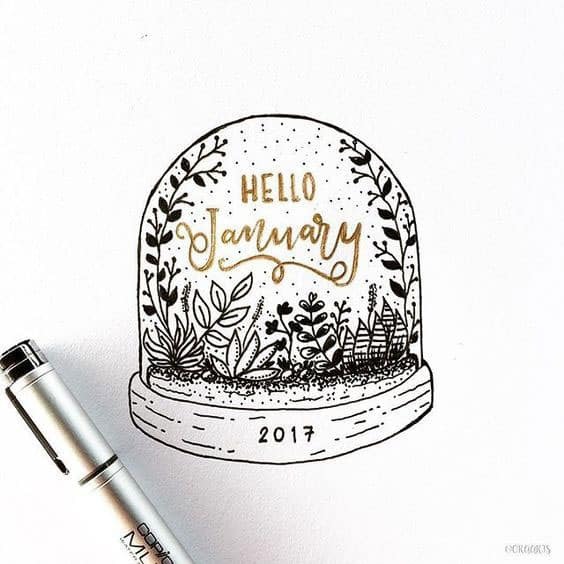 I LOVE this snow globe idea with the floral elements and the gold lettering. 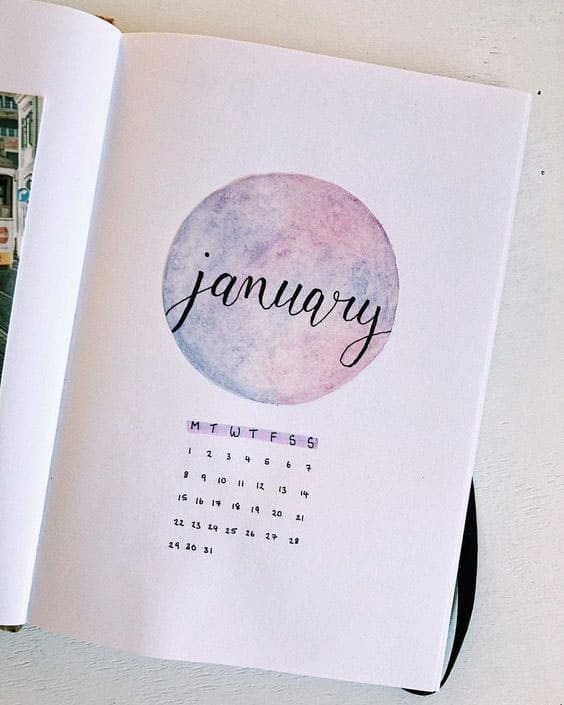 I think this is the one I’m going to use for my January bullet journal cover page! And this doodle of a wooly hat is just totally adorable!